Gross floor area | 160 m.sq. 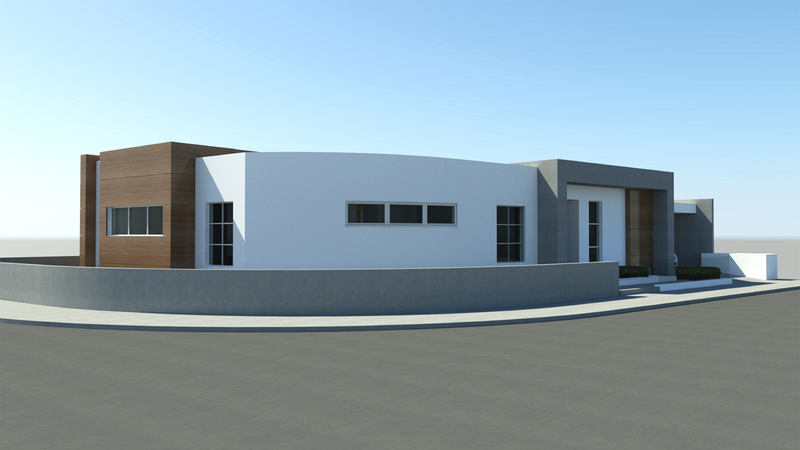 This is a *bungalow designed by our architect Giorgos Nearchou for our clients Maria & Renos. 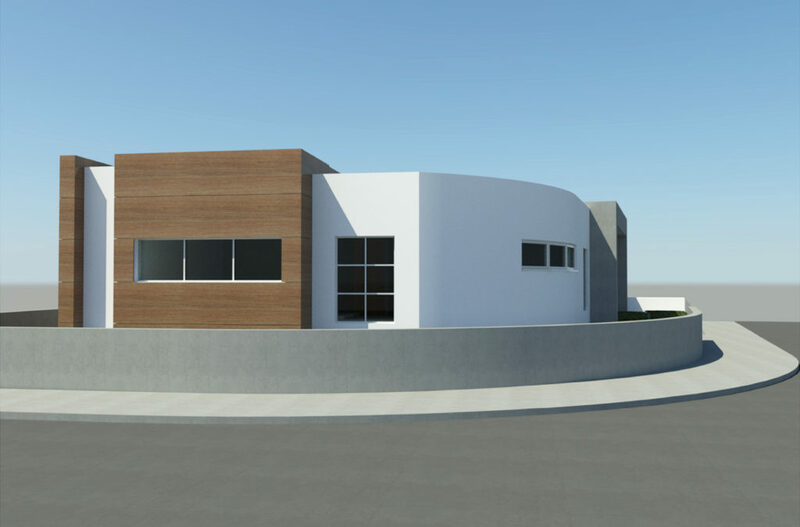 The house is located in Ypsonas, on the Western part of Limassol. 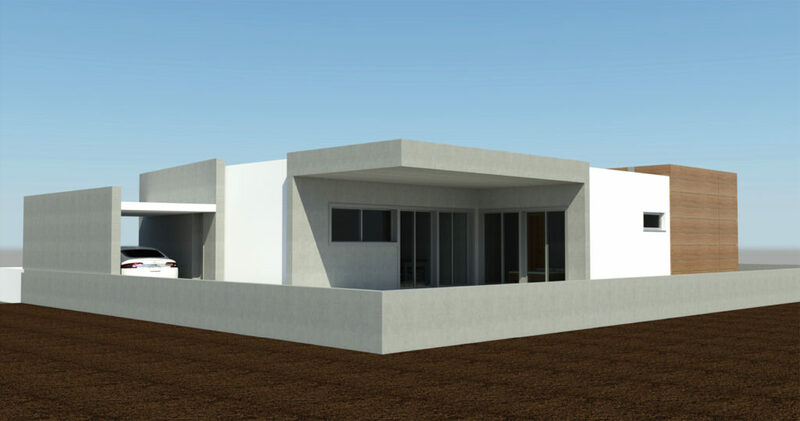 Our clients requested a *bungalow of 160m2 with a large veranda, which in the future might become a **duplex. Due to the irregular shape of the plot, we had to be creative to make the best out of the limited space we had, so all the rooms are functional and comfortable. 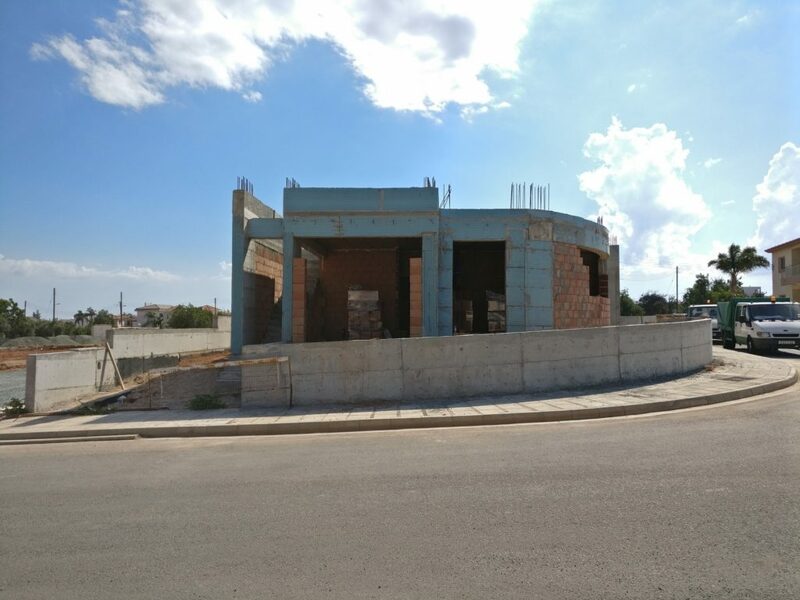 Also, another limitation was to include a staircase that leads to the upper floor, for the second apartment that will be build in the future. Moreover, we had to consider where the second parking space will be, for the second apartment. 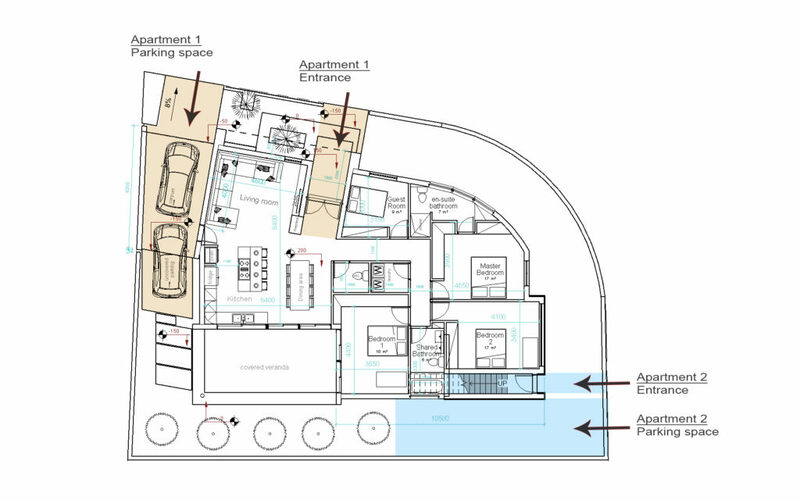 The two apartments had to be accessed independently with their own entrance and parking space. 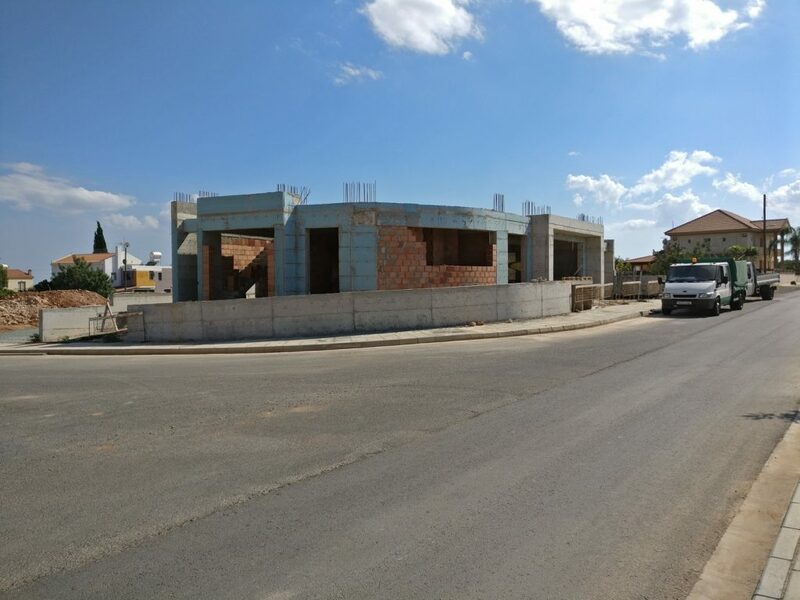 The house is composed of an en-suite master bedroom, two bedrooms, shared bathroom, guest room, laundry room, and a big open-plan space where is the living room, the dining area and the kitchen. What is more, the house features a big veranda at the rear of the house, facing South, which can be considered as an exterior living room. 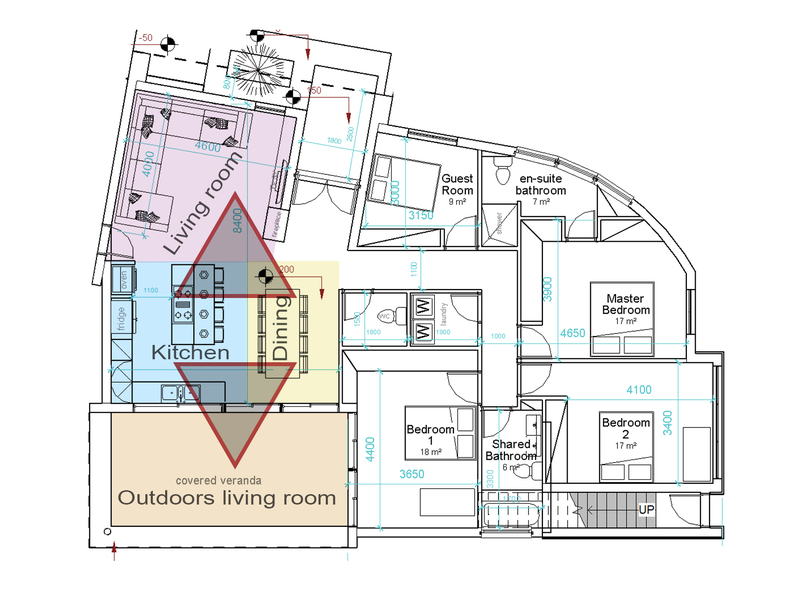 This veranda is strategically placed next to the kitchen and the dining area, creating a ‘triangle of spaces’, which allows the users to use the veranda as their alternative living room, when it is permitted by the weather. 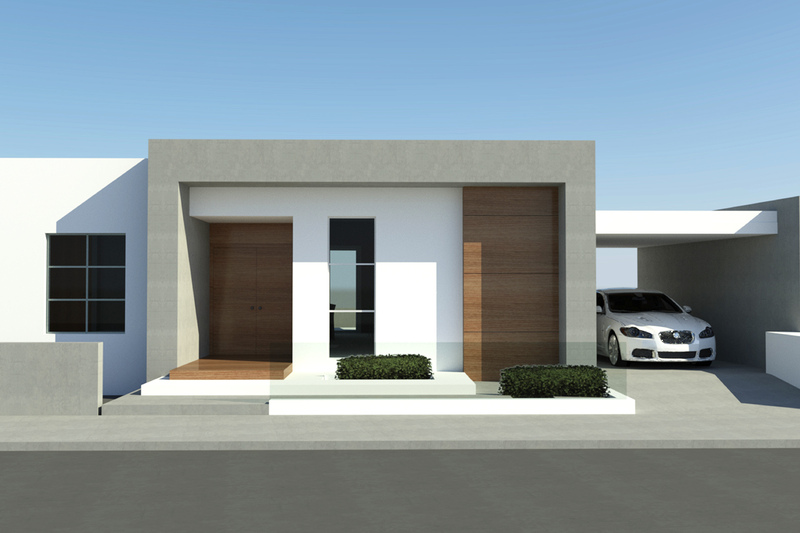 *Bungalow : A bungalow is a residential building, normally detached, which is single-storey used by one family. **Duplex: A duplex house is a dwelling having apartments with separate entrances for two households. This includes two-story houses having a complete apartment on each floor.